They say that a person’s tattoo collection tells the story of their life, and when it comes to One Direction’s Louis Tomlinson, the story is an interesting one, to say the least. 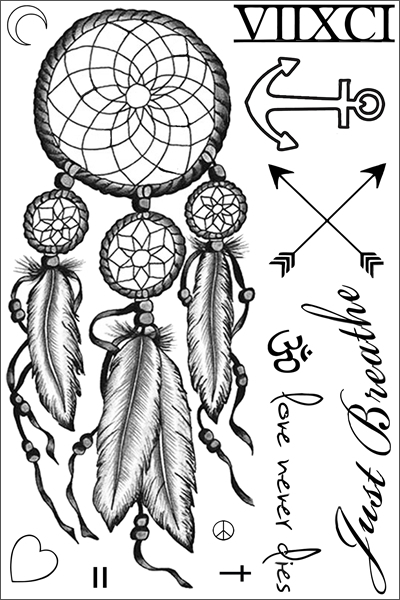 Louis got his first tattoo at the age of 20, and apparently caught the tattoo bug along with the rest of his bandmates, because he now has more than a dozen images scattered across his body, including the words “FAR AWAY.” on his right bicep and a gigantic stag and heart tattoo on the outside of his right arm. Although some of Louis Tomlinson’s tattoos appear to be completely random (much like Harry Styles’ tattoos, right?? 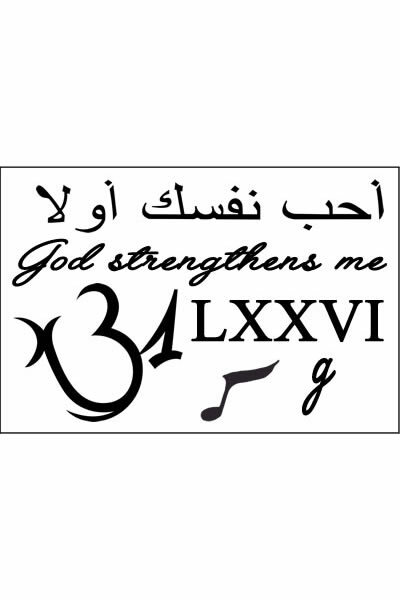 ), the singer has an explanation for virtually every piece of ink on his body, so they must mean something to him! 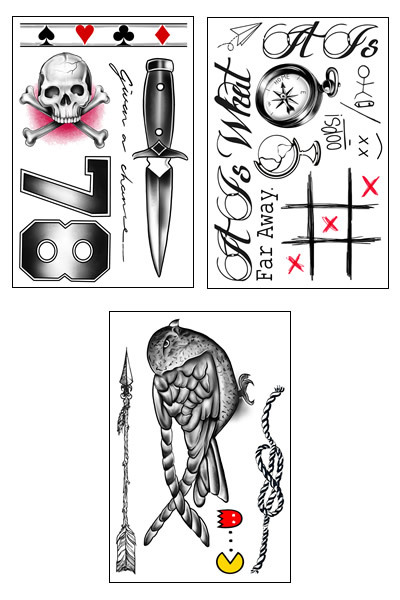 Read on to learn more about Louis’ “FAR AWAY.” and stag and heart arm tattoos. Louis seems intent on covering his right arm in tattoos, and the ink he sports on his upper arm/shoulder is really helping out in reaching that goal. 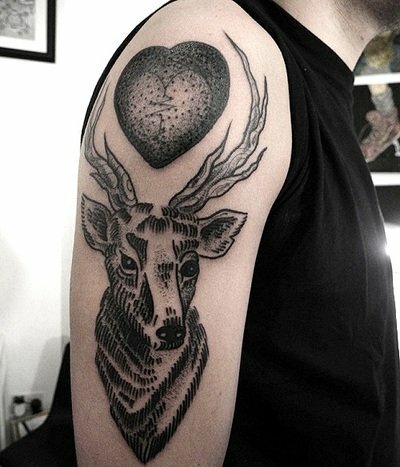 Louis’ arm tattoo features a gigantic image of a stag’s head with a large black and white heart inked in between the deer’s antlers. Louis hasn’t yet explained the meaning behind his shoulder tattoo, but it is nearly identical to the Jagermeister logo, which depicts a stag with a cross positioned between it’s antlers. Hmm…strange source of inspiration, if we do say so ourselves. The singer’s stag and heart tattoo was inked in May 2013, and covered up what used to be a heart wearing a pair of headphones, which the pop star previously said meant “listen to your heart.” Not only does Louis Tomlinson’s tattoo of the stag and heart cover up ink that he apparently regretted, but it also marks a transition from the tiny little scribbles that the One Direction boys are famous for to more prominent, detailed and – dare we say – mature tats. 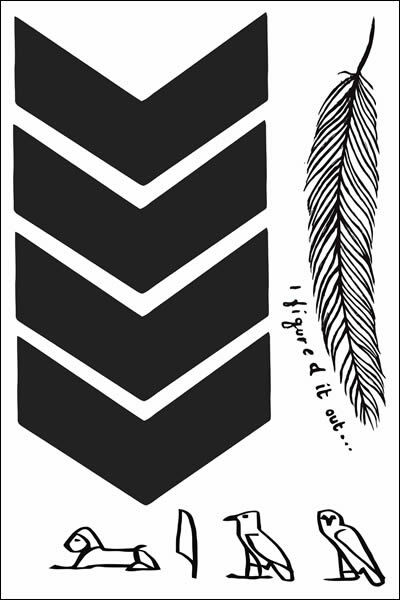 We have to say that we kind of like Louis’ stag tattoo, and it goes nicely with the large bird tattoo on the outside of his right arm. Good choice, Louis! 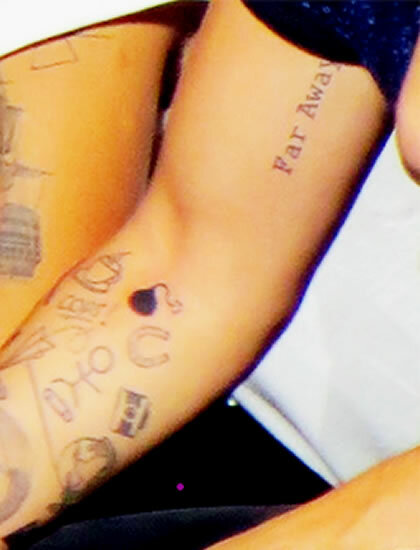 On the inside of his right bicep, Louis has the words “FAR AWAY.” inked in what looks like old school typewriter font. The pop star’s arm tattoo was inked in October 2012, around the same time as his stick figure and quotation marks tattoos, and is apparently a tribute to his hometown and the friends and family he left behind when he joined One Direction. 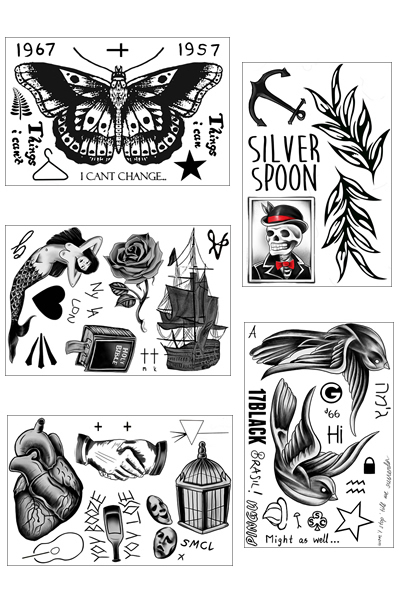 Louis and his bandmates are fond of getting words and phrases inked on their bodies, and Louis Tomlinson’s tattoo is similar to Zayn Malik’s tattoo that says “Friday,” and Harry Styles’ “I can’t change,” “things I can” and “things I can’t” tattoos. When explaining the meaning behind his “FAR AWAY.” tattoo, Louis said, “Though I’m away from home, my family is always in my heart.” Aww!! 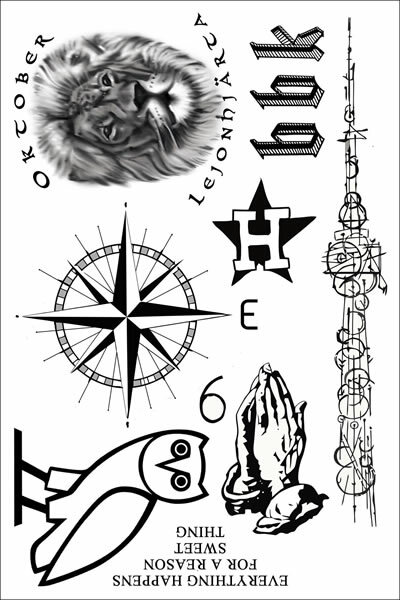 Louis has a couple of tattoos honoring the notions of home and family, including the large compass tattoo on his arm that he says has an arrow pointing to home. 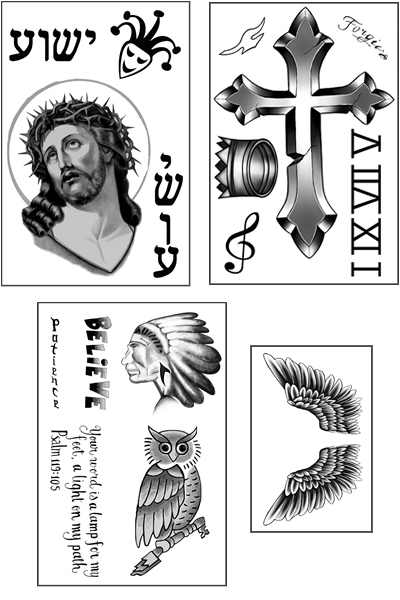 Some of the other One Direction boys have similar sentimental tattoos, including Harry Styles’ tattoos of the large ship on his arm and the swallows on his chest. YOU DONT KNOW THAT HES GAY?? If I’m louder, would you see me? In my arms and rescue me?